What better place to pop the question than the most magical place on earth? If you are thinking of proposing on your trip to Walt Disney World but are not sure about the details, we can help! 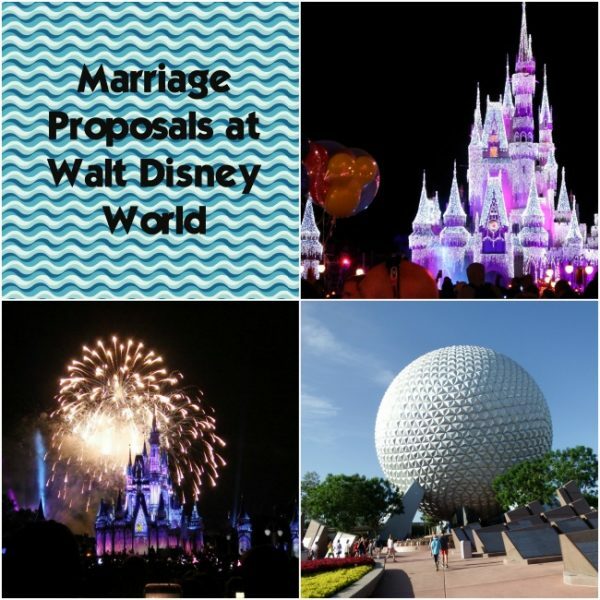 Here is our advice on marriage proposals at Walt Disney World. The single most important thing to consider when planning your proposal is the person you are proposing to. What makes them happy? Where are they comfortable? What do they want? Will they say “yes!”? Taking some time to consider what the other person would want is essential to planning the perfect proposal. Think about whether your significant other would like a public proposal or a more private one. Also consider what you want with this situation. 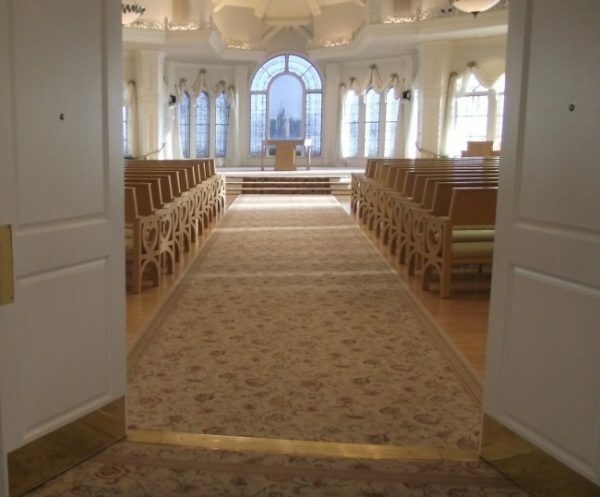 Do you want people around and watching or would you rather be alone with your loved one? Does your significant other want photos taken of this special moment? It is a major trend to have a photographer at marriage proposals. Conveniently, there are tons of photographers at Disney who are all ready to take some magical photos of your wedding proposal. If you are planning to propose in a public area, more than likely a nearby PhotoPass photographer will be available to help you get some great pictures. If you would rather have a more private experience it may be better to splurge on Disney’s Fine Art Photographers or contact Disney’s Fairytale Wedding Planners to help you get the pictures you want. Think about the other person’s unique tastes and personality. Do they have a favorite location in the parks, a favorite character, a favorite park or resort or restaurant? How can you incorporate something special to your relationship into the proposal? Consider your individual relationship when planning the perfect wedding proposal to make it extra special for you and your future spouse. There are an infinite number of options for planning your perfect Walt Disney World marriage proposal. Consider what is right for your unique relationship before popping the question. 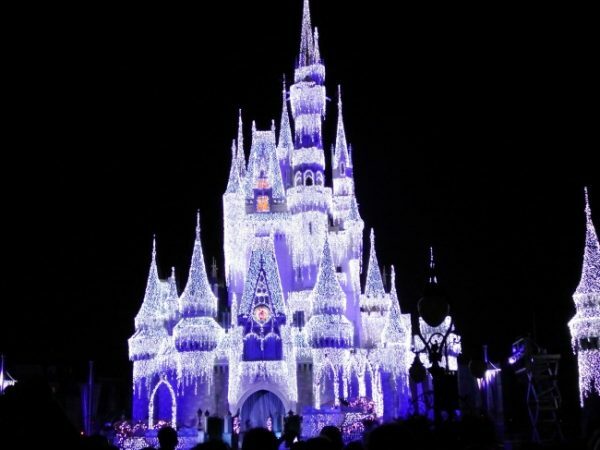 Here are some ideas for marriage proposals at Walt Disney World. Cinderella Castle – The most iconic Walt Disney World location can make for a beautiful, classic Disney proposal. There are photographers surrounding the castle and as long as you do not mind a public proposal this is a magical location. If you want to propose at a different location you could try the wishing well on the Tomorrowland side of the castle, you’ll still be at the castle, but the location is a bit quieter than Main Street USA. You could also wait until the very end of the day at the parks. After most of the guests have left the park, you could have a proposal in front of the castle with fewer people around. Other Park Icon – If Magic Kingdom is not your significant other’s favorite park, they may prefer a proposal in front of a different park icon. Perhaps Spaceship Earth or the Tree of Life are special to your loved one’s heart. These locations have PhotoPass photographers on hand to capture the moment. 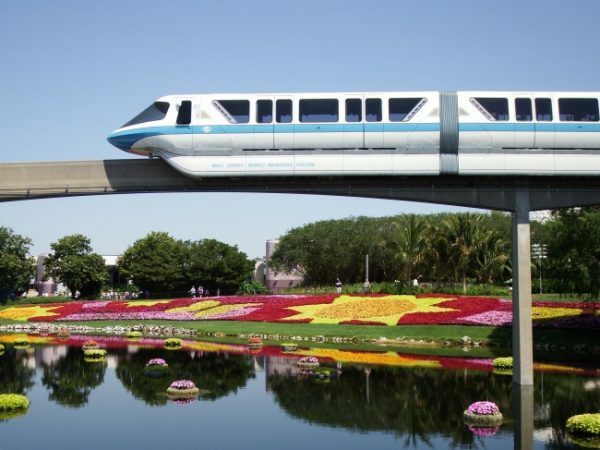 On an attraction – Is there a special ride that you and your future spouse just love? If it is feasible to propose on the attraction, that can be a unique option. A variation on this type of proposal is proposing with the on-ride photo. Challenges with an attraction proposal include getting photos, having time, and safety. You don’t want to lose the ring or get hurt while proposing! The Haunted Mansion may not be the best choice for a marriage proposal as the marriages in that attraction seem to all have had dreadful endings. At a restaurant – Disney has so many dining options from fine dining to burgers and fries. You can choose exactly what you want for your proposal. 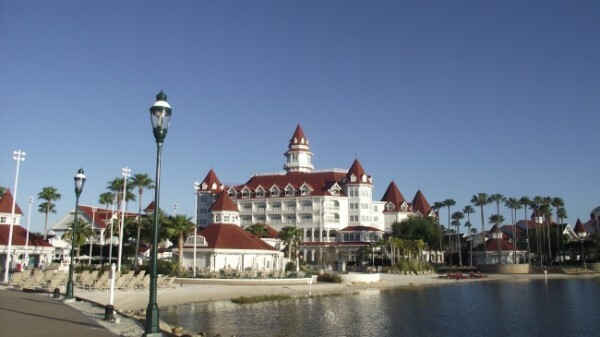 The most romantic and special option at Walt Disney World is Victoria and Albert’s at the Grand Floridian, but there are a lot of other fine dining options. If you want characters to be around during your proposal, you can also choose a character dining meal. You could welcome your loved one into your ‘Ohana by proposing at ‘Ohana restaurant. For a princess experience you could try Be Our Guest, Cinderella’s Royal Table, or Akershus. Be sure to make advanced reservations for your dining experiences! With a favorite character – If you or your future spouse have a favorite character, you may want to get them involved with your marriage proposal. 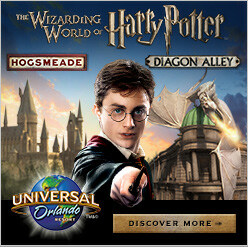 Find out where you can meet with your favorite character. Let a cast member at the meet and greet know that you are planning to propose so that the Photopass photographer will be ready to capture your special moment. 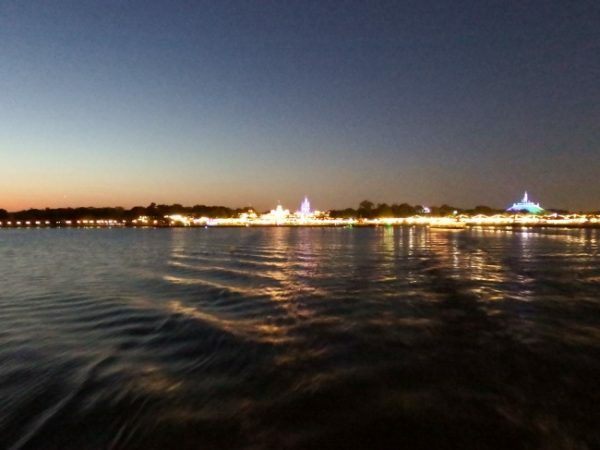 On the water – You can rent a boat and propose on the water at Walt Disney World. The most romantic option would be a fireworks cruise where you can enjoy the fireworks from a special place on the water without crowds. 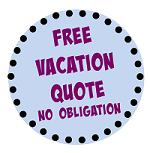 If you are on a budget and do not want to rent a boat, you could also choose a resort transportation boat. The boats to Disney Springs from Old Key West and Saratoga Springs are often quiet and are very nice. With fireworks – Fireworks are a special treat and Disney’s are among the best. Proposing with the sparkling lights in the night sky may be exactly what you are looking for in your proposal. 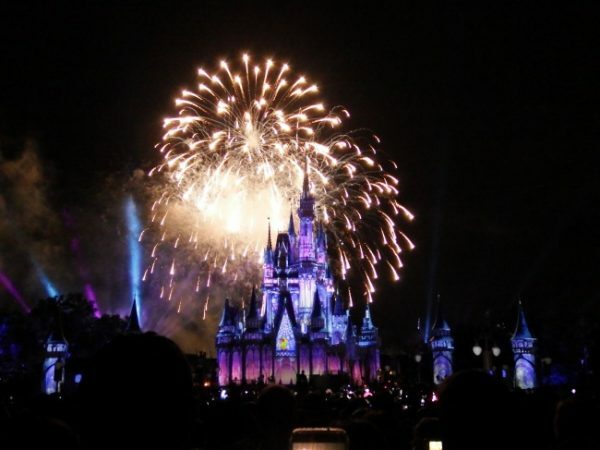 You may just find your Happily Ever After while the fireworks are going off. You may want to do a fireworks dessert party to make the evening more special. At Disney’s Animal Kingdom – If you or your significant other love animals this could be a unique and fun proposal. Here you can propose near some gorillas or tigers. This would make for a some fantastic, wild pictures. For the nature lover – Head over to Fort Wilderness. You could rent a campsite, hike, have a carriage ride, and spend the day in nature before proposing. Make it personal – Whatever you decide to do, make it personal. Do something that you know the other person will enjoy. A personal touch can be just the thing to make your proposal special and memorable. Making it personal can bring the tears of joy and pure happiness. Give it a theme – Disney World is a theme park, so why not theme your proposal? If you love Star Wars maybe propose over at Hollywood Studios with a Star Wars theme. If you want a princess proposal, then make your significant other feel like a princess all day before your propose. At a resort – Most people think of the parks when they think of Walt Disney World, but there are some beautiful resorts in Disney World that could be the perfect place to propose. The resorts are more private and secluded than the parks, which could be a benefit of choosing one of these locations. Some resorts even have “beaches” that could make for a romantic proposal location. At Disney Springs – Disney Springs has a ton of great restaurants. If this is a consideration, Disney Springs could be the place to propose. At a water park – Many people get engaged on the beach, but you could propose at a wave pool as well. The water parks at Disney are exciting and fun, this may be the unique location you are looking for in a proposal. At a sports event – ESPN Wide World of Sports always has some kind of sporting event going on. If you love sports, this could be the perfect proposal to knock it out of the park. If your significant other is participating in a sports event at Disney like a runDisney race, this could also be a unique time to propose. At a special event – There are tons of special celebrations and events at Walt Disney World. If there is a particular holiday or season that you will be visiting the parks, see what is going on at the time. There may be a unique event that perfectly suits your needs. The parks are beautiful during Christmas with lights and decorations. In the springtime Epcot has the Flower and Garden festival making the park stand out. Disney’s wedding planners at Fairytale Weddings can help out with planning the perfect proposal. If you want some professional help in planning your proposal, this is the place to go. They can help plan every detail, even the ring! Contact Fairytale Weddings by calling (321) 939-4610 or visit their official site. If you want to add something extra special to your wedding proposal the wedding planners at Disney’s Fairytale Weddings can help out. Enchanting extras begin at $99 and feature everything from a special meal to a unique gift that will make your proposal exactly as you have imagined. Another option is a Custom Disney Experience beginning at $2500 that allows you to tailor your trip to create the perfect proposal. With a custom Disney engagement you can decide exactly how you want your proposal to be and a wedding planner can help you make it happen.